This is your opportunity to become a content marketing authority, and avoid the uncertainty and outlandish time and expense … by getting it done for a daily investment less than the change you find in your couch. 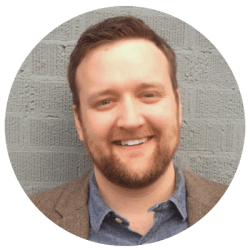 Matt Hall is a digital content strategy expert with years of experience growing his clients’ businesses. He’s worked with top-level enterprise organizations like Intel, Novell, and others, and he’s also worked with Mom-and-Pop small business owners like yourself. Through his experience, he’s learned exactly what works with digital marketing, what doesn’t work, and what your business needs to be doing now to thrive in 2015. With the TL;DR Report, Matt shares his monthly analysis and insight in a way small business owners can absorb quickly and without a large time commitment. This is perfect for those running a small business who need to stay updated but don’t have a lot of free time to waste reading another bland blog post. Follow Matt’s advice to increase your profits. I’ve Helped Many Businesses Like Yours Thrive… Even on Microscopic Budgets! Until Friday, March 6, 2015, at 5:00 p.m. Pacific Time, you can grab this incredible deal. Lock in your membership now for less than $25 a month ($299 billed annually)and save $100. We guarantee your membership price will never go up as long as you keep your subscription. Secure that special rate (billed annually), save $100, and try Authority risk-free for 30 days. If you’re not bowled over with the value you’re getting relative to the small investment, we’ll cheerfully return your initial payment and never charge you again.